For almost 40 years, The New York Community Trust has brought foundations together to address thorny issues facing New York City. We have partnered with more than 140 funders through 21 collaboratives, distributing $121 million. Some of these collaborations focus on sharing ideas; others are more structured, with governance and administration shaped to fit the collaborators’ needs. Some have a brief life addressing an immediate issue, while others last for decades. Read about the impact of 40 years of funder collaboration in our report "Stronger Together: The Power of Funder Collaboration." Here are descriptions of our current collaborative funds. 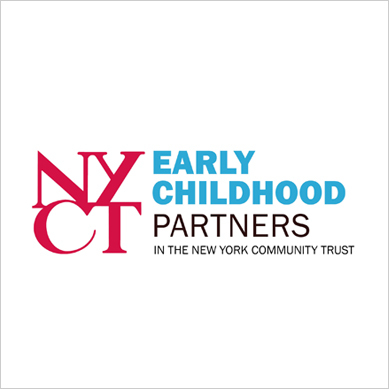 In 2017, The Trust brought together a group of funders called Early Childhood Partners NYC, which is committed to preparing all New York City children for lifelong success. Their goal is to expand access to effective early childhood services and improve the systems that influence the wellbeing of young children, especially those from low-income families. Research shows that children from poor families who participate in quality early childhood programs are more likely to complete high school, have stable jobs, and earn higher wages. They’re also less likely to be involved with the criminal justice system or receive public assistance as adults. Lack of access to these services contributes significantly to the achievement gap: It is estimated that up to half of children who fail at school can be linked to gaps in quality care and education for preschoolers. While New York City has led an impressive expansion of prekindergarten, it has not yet created an integrated system of high-quality services for all children under the age of five. City agencies responsible for early childhood programs historically have operated in isolation, with conflicting regulations and requirements for providers. There are significant gaps in services, and quality is inconsistent, mostly due to inadequate funding and a workforce that needs better and more specialized training. To address these problems, the Partners work closely with public officials, researchers, practitioners, and other leaders in early childhood and related fields to expand proven and promising approaches, test new ideas, improve systems, conduct research, and advocate for policy change. The Partners make grants to pool funding through a collaborative fund at The Trust. It is guided by a steering committee that meets quarterly. General members, who contribute at a lower level, are encouraged to participate in networking and learning activities, and align their grantmaking with collaborative projects. An effort by the New York City Administration for Children’s Services to expand quality early childhood services for infants and toddlers. The evaluation of the City Department of Education’s math-based professional development curriculum for pre-kindergarten programs. The Schuyler Center for Analysis and Advocacy’s campaign to ensure sufficient funding for pre-K across New York State. For more information, contact Natasha Lifton at (212) 686-1089. The Fund for New Citizens was established in 1987 after passage of the Immigration Control and Reform Act of 1986. The Fund coordinated foundation efforts to help the City’s immigrants understand and benefit from the new law. At the same time, it seeded the New York Immigration Coalition, now a statewide group of almost 200 immigrant-serving nonprofits. Since inception, the Fund has continued to help the City’s immigrants understand and respond to complex and oft-changing immigration laws and policies. It has made more than $20 million in grants to groups across the five boroughs that reflect the racial and ethnic diversity of the City’s immigrant populations. Its grants support advocacy for policies that benefit the City’s immigrants, capacity-building for immigrant-led groups that anchor this advocacy, and affordable immigration legal services. Also, it provides opportunities for foundations to learn about current immigration issues and coordinate funding that reaches immigrant groups more effectively. To find out more about the Fund for New Citizens, download our report. immigrant-led, grassroots organizations throughout the five boroughs. In 2001, a group of foundations established the New York City Workforce Funders. Their goal: to make the City’s workforce development system more responsive to the needs of workers and employers. The funders, now numbering 75, meet quarterly, along with colleagues from key public and nonprofit groups to share ideas and information. More a dozen foundations make grants to a collaborative fund at The Trust to develop joint projects that test innovations or provide management assistance to many of the more than 140 nonprofits that train New Yorkers for jobs. The Fund’s first two grants were used to help youth employment organizations manage dramatic increases in federal funding in 2001, and to build the financial systems of workforce organizations. In 2004, the Workforce Funders joined with the City’s Department of Small Business Services to focus on the health care and biotechnology sectors. That collaboration led the City to design several its employment programs to growth sectors of the economy, making them more effective. The City’s job market has seen dramatic shifts in recent years. Some industries have disappeared, while others are expanding and need skilled workers. Many of the City’s new jobs are in lower-paying industries like hotels, restaurants, and retail. But big, fast-growing technology companies also are adding jobs—think Amazon and Google—and hiring skilled workers at a rapid pace. Meanwhile, the need for health care workers continues to grow. New Yorkers need to be trained for all these new jobs. In 2013, the Workforce Funders commissioned the Re-Envisioning the New York City Workforce System Report, which envisions a redesigned workforce system driven by employers’ needs. The report outlined a framework for the City administration to develop a bold new model—one that places a high priority on training and job placement through sector-focused industry partnerships led by employers. New York Alliance for Careers in Healthcare, started in 2011, creates partnerships for careers in health care with trade associations and their hospitals, community health centers, and nursing homes, as well as the largest health care labor union in the region. NYC Tech Talent Pipeline, established in 2014, brings together technology industry leaders from more than 60 companies to shape curricula, assess potential talent, and support the development, delivery, and evaluation of new and expanded programs designed to equip workers for 21st century technology jobs. The Field Building Hub, housed at the Workforce Professionals Training Institute, is a 2016 initiative to introduce key innovations in employment services, bolster the skills of individuals and organizations, and establish a system to identify and assess gaps in capacity. Invest in Skills New York Campaign, managed by New York Association of Training and Employment Professionals and JobsFirstNYC, seeks to convince the Governor and New York State legislature to make a skilled workforce an economic priority. 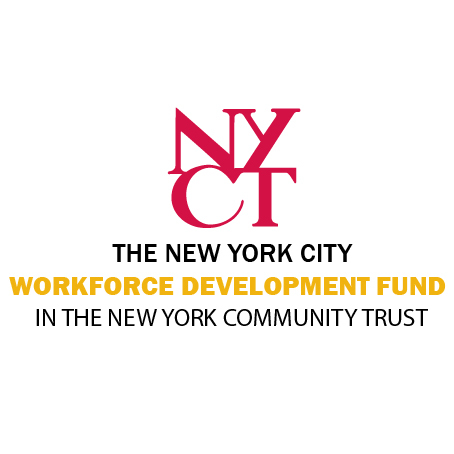 In 2017 the Workforce Funders commissioned the Workforce Field Building Hub to prepare the Workforce Agenda report, released in September 2019, which recommends five ways to strengthen the New York system of services for job seekers and employers. See the report here. The recommendations will form the basis for the NYC Workforce Funders agenda in the next three years. For more information, contact Roderick Jenkins at (212) 686-1088. In the early 1990s, 17 foundation presidents, including The Trust’s, began meeting to find ways to make the City a better place to live. They decided to focus on improving schools, and in 1995 The Trust created the Donors’ Education Collaborative (DEC). With 1.1 million students in nearly 1,800 schools, New York’s public school system is the largest in the country. The cost and logistics of managing it are daunting. DEC’s founding premise is that broad-based change in schools requires an active, informed, and diverse constituency. Effective reform is grounded in research and carried out in partnership with parents, students, educators, and other community members. Therefore, member foundations pool funds to make grants for research, advocacy, and community organizing to advance equity, opportunity, and excellence for all students, including those facing the greatest challenges. 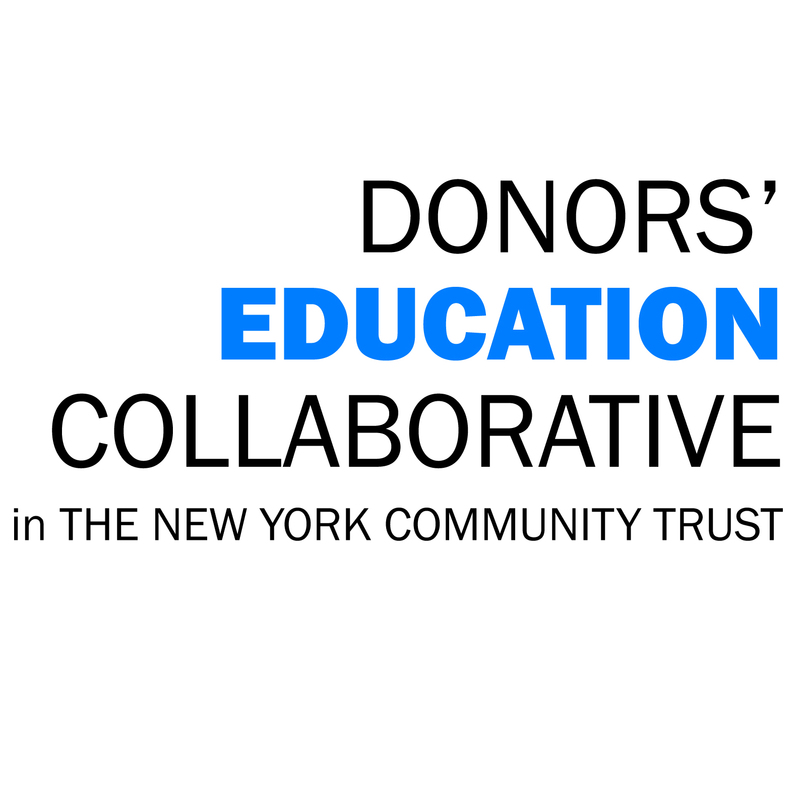 To find out more about the Donors’ Education Collaborative, download our report. – Tanya Herbick, DEC member and senior program officer, Morton K. and Jane Blaustein Foundation. – Nicole Leach, DEC member and education program officer at Deutsche Bank Americas Foundation. The A+NYC Coalition worked with diverse communities to develop and advocate for an education policy platform during the 2012 and 2013 mayoral campaign. Many recommendations were adopted by the new administration, including expanding pre-kindergarten, creating more community schools, reforming school discipline and policing, and strengthening parent-community partnerships. The Dignity in Schools Campaign—NY won revisions to the City’s School Discipline Code, reducing the emphasis on automatic suspension while increasing help for struggling students. Suspensions have decreased dramatically in recent years. Litigation, led by the Campaign for Fiscal Equity, culminated in the Education and Budget Reform Act of 2007, which with continued advocacy by the Alliance for Quality Education helped bring more than a billion dollars in additional funding to the City’s schools. Advance Equity: Ensure small, community arts groups, groups led by people of color, and culturally and economically diverse artists are as valued for their contributions to the City’s culture as larger institutions. The Fund makes grants to support research, technical assistance, and other initiatives that advance its goals. It also organizes briefings to review research in arts and culture, and pushes for the findings to be implemented. If you are a funder interested in joining the Fund, please contact program associate Michele K. Baer at mkb@nyct-cfi.org or (212) 686-0010 x 658. The Fund hosted a public meeting at El Museo del Barrio that explored real-life policy programs on cultural and racial equity in Seattle and Nashville, and discussed their implications for the future of New York City’s cultural policy (also archived on YouTube). 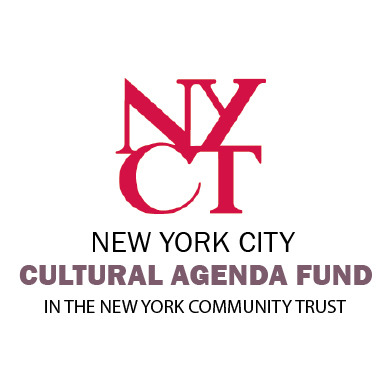 With a $125,000 grant, BRIC worked with the Museum of Contemporary African Diasporan Arts (MoCADA), Mark Morris Dance Group, and Theatre for a New Audience to pilot the Downtown Brooklyn Arts Management Fellowship, a paid fellowship for emerging arts administrators from historically underrepresented groups. A $75,000 grant helped El Puente work with Arts & Democracy, Center for Urban Pedagogy, Hester Street Collaborative, and Naturally Occurring Cultural Districts New York (NOCD-NY) to start its Blueprint for Culturally Healthy Communities, guiding principles of a “culturally healthy community” in two neighborhoods the De Blasio administration has identified for rezoning. Naturally Occurring Cultural Districts New York used $125,000 to work with Casita Maria Center for Arts & Education, Community Voices Heard, Jacob A. Riis Neighborhood Settlement, Staten Island Arts, and others to coordinate a citywide program to increase creative expression and artistic development in public housing communities. Eleven community organizing grants totaling $97,000 helped to ensure that a plurality of voices and perspectives influenced the development of New York City’s first cultural plan. The Fund also made a grant to Hester Street Collaborative, which worked with Naturally Occurring Cultural Districts and artEquity to train community organizing grantees. A $400,000 grant to Race Forward provided racial equity training, coaching, and support to 60 arts groups. Groups in the program receive participant stipends, and a select number are awarded $10,000 bonus stipends to implement their racial equity work plans. Two grants totaling $244,035 to the University of Pennsylvania’s Social Impact of the Arts Project went towards new research that developed measures of social wellbeing for New York City and documented the relationship between wellbeing and the City’s cultural ecology. The group published its findings. Download a summary of our grants to date. Established in 2018, the New York State Census Equity Fund is a joint effort of local, regional, national foundations, and individual donors to ensure that every resident in every county in New York state is counted in the 2020 Census. Generating a sufficient response from hard-to-count communities could mean the difference between New York State losing one congressional seat or two, not to mention billions of dollars in federal funds for vital community assets (i.e., schools, hospitals, etc.) and programs for vulnerable New Yorkers like Medicaid, Section 8, Low Income Housing Tax Credits, Head Start, Special Supplemental Nutrition Program for Women, Infants, all of which which are allocated based on census data. Support complete census count efforts of community organizations in New York’s hardest-to-count neighborhoods, towns and rural areas with large populations of low-income people, people of color, immigrants, children under five, older adults, people with disabilities, non-English speaking individuals, migrant workers, ex-offenders, the homeless, and other groups that are at risk of being undercounted. Facilitate learning opportunities so that funders around the State are informed about and up to date on the 2020 Census. To find out more about the New York State Census Equity Fund, download the Fund’s description. The four sub-committees described below facilitate the work of the Steering Committee. Any contributing funder can participate in one of the sub-committees. All contributing funders can participate in the Grantees Selection Committee. Funders Engagement & Education Committee – Chaired by Jen Drake, Senior Program Officer, Dyson Foundation, the sub-committee organizes quarterly briefings for funders on relevant census-related topics to foster their engagement in increasing the 2020 count in New York State. Grantees Selection Committee – Chaired by Randi Hewit, President, Community Foundation for Elmira-Corning and Finger Lakes. All donors of the Fund can participate in the sub-committee. Sub-committee members review LOIs and/or proposals submitted for funding consideration and make funding recommendations to the Steering Committee. External Relations Committee – Chaired by Robyn Smith, Program Officer, Central New York Community Foundation. The sub-committee maintains relations with national and regional funders’ census initiatives to share information, best practices, and resources; and coordinates strategies with statewide census advocacy groups such as NY Counts 2020, the New York Civic Engagement Table, the Association for A Better New York, the Governor’s Office, and the Regional Census Bureau. If you are a funder interested in joining the New York State Census Equity Fund, please contact Senior Program Officer Patricia Swann at pas@nyct-cfi.org; or Special Projects Officer Barbara Taveras at bat@nyct-cfi.org – 212-686-2462. The Fund regularly organizes information sessions in collaboration with Philanthropy New York, New York Funders Alliance, and Engage New York, to help funders stay informed about and up to date on 2020 Census developments – the briefings are open to all funders who are interested in a fair and complete 2020 census count. To learn about upcoming funders briefing on the census, visit Philanthropy New York. A $30,000 grant to Engage New York awarded in November 2018–a network of foundations from across New York State that links policy advocacy, civic engagement, and community organizing to improve the quality of life for New Yorkers–to produce and distribute to funders a monthly online newsletter with updates on census activities throughout the State and a digest of relevant articles and online postings; liaison with relevant local government and Census Bureau officials; and track census-related funding support in New York State from local, national and regional foundations, including grants from sources that are not directly contributing to the Census Equity Fund collaborative. With a $35,000 grant awarded in November 2018, the Rockefeller Institute of Government–the research arm of the State University of New York–will analyze New York State’s challenges for 2020 census; and produce a written report with recommendations on census 0utreach and get-out-the-count strategies to guide the work of funders, government officials, and nonprofits. The research and analysis will be done by Jeff Wice, Rockefeller Institute Fellow and nationally recognized expert on census and redistricting. The Trust was joined by other New York foundations in a letter to the governor asking the State to allocate more funds to the census efforts. Read the letter here and the update here. Increase overall philanthropic support for City-based ALAANA arts groups by facilitating funder commitments to new grantees. In 2019, the Fund will host a series of learning exchanges to connect funders with ALAANA arts practitioners and facilitate mutual learning and community building. After, it will launch a program to provide multi-year flexible grants alongside other strategies to enhance ALAANA arts groups in New York City. For more information about the Fund, please contact Salem Tsegaye at snt@nyct-cfi.org. The Foster Care Excellence Fund was established in 2017 to help more foster care agencies participate in “Home Away From Home,” an initiative of New York City’s Administration for Children’s Services that aims to increase the number of foster children living with relatives, or “kin,” and improve foster parent recruitment, training, and retention. To this end, the Fund is providing grants and technical assistance to five foster care agencies that are working in tandem with “Home Away from Home.” In addition to placing more young people with kin, the agencies are working to improve the process for matching children with prospective families, better support current and prospective foster parents, and help more young people establish permanent connections to families. In 2019, the Fund turned its attention to a different challenge facing young people in foster care: the lack of stability and support for young people who are aging out of the system. Working with a group of foster care agencies, the Fund has developed a plan to scale a comprehensive approach to serving young people up to age 26 that uses a proven coaching model. The goal is to secure public funds so the model can be provided to approximately 7,000 current and former foster youth a year. This work aligns with the recommendations of the City’s Foster Care Interagency Task Force, which has endorsed expanded services young people in the foster care system, from middle school up through age 25. 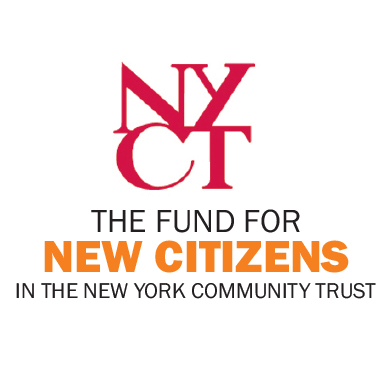 If you are a funder interested in joining the Fund, please contact Leigh Ross at lcr@nyct-cfi.org. A recent press release about the Fund’s grantmaking is available here. The Foster Care Interagency Task Force’s recommendations for improving foster care are available here. The Neighborhood Revitalization Program supported community development groups creating low-income housing in tax-foreclosed properties and revitalizing local commercial strips from 1978 to 1991. The New York City AIDS Fund, which operated from 1989 to 2014, and brought together foundations, City and State agencies, nonprofits, and those living with HIV/AIDS for a sustained local response to the epidemic. One Region Fund coordinated efforts of funders in the tri-state region to invest in advocacy for transit improvements and grants to stimulate transit-centered development around commuter rail stations from 2006 to 2014. The Hive Digital Media Learning Fund was started with support from the John D. and Catherine MacArthur Foundation in 2010 to promote adolescents’ learning through digital media. It provided $7.2 million in grants and developed 100 educational programs, working with museums, libraries, and youth-serving agencies. In 2016, the Hive Fund was transferred to the Mozilla Foundation. Download a report on the impact of the Hive Fund.